The shower gel is not too expensive and is only £4 a bottle. However, like I said it is a fairly small bottle and it only holds 250ml. I would definitely say that this shower gel is definitely worth the price. The Body Shop also has other scents as well like strawberry and orange, so there is a scent for everyone, but my favourite is definitely the grapefruit. I loved this so much that I also got the soap, the body butter, the lip scrub, the body mist and the body sorbet. All of these are amazing quality and smell like grapefruit and even though it can cost quite a bit, The Body Shop does have some amazing deals every now and again where you can buy 3 for 2 etc. I would definitely recommend The Body Shop shower gels to everyone because there is definitely a scent for everyone. You are able to buy the shower gel in a variety of different sizes online and can buy it in 750ml so it will obviously last even longer. 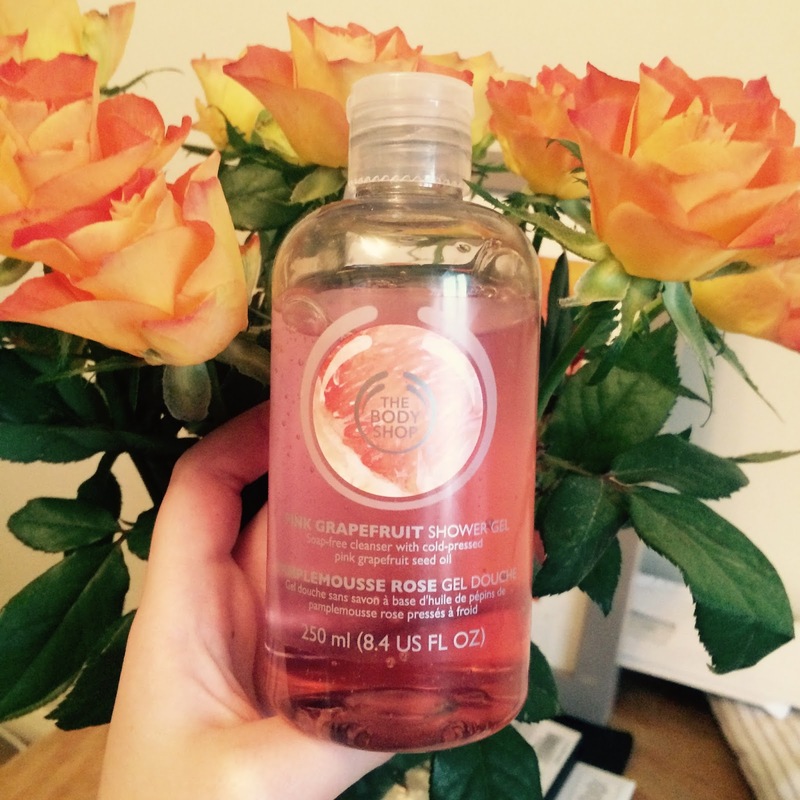 To buy the grapefruit shower gel from The Body Shop, please click here. To buy any of the other shower gels from The Body Shop, please click here.